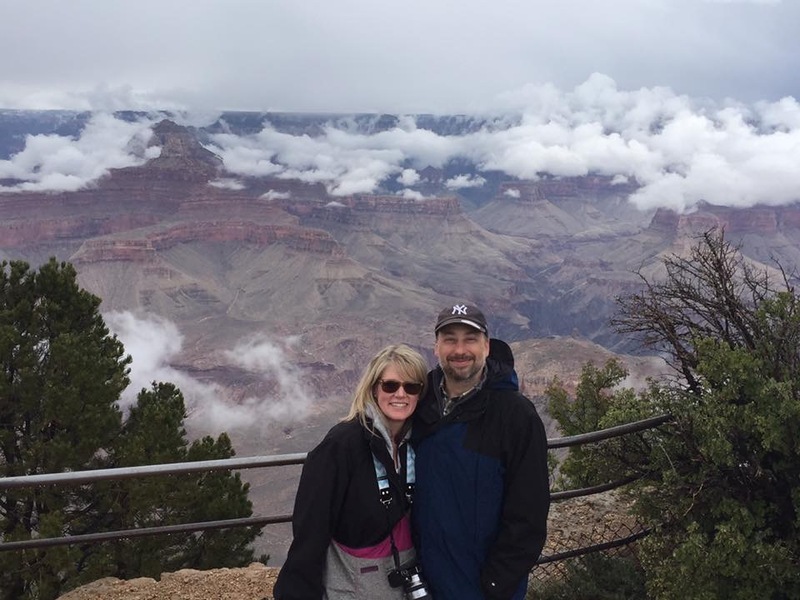 Grand Canyon – Live MoHo! 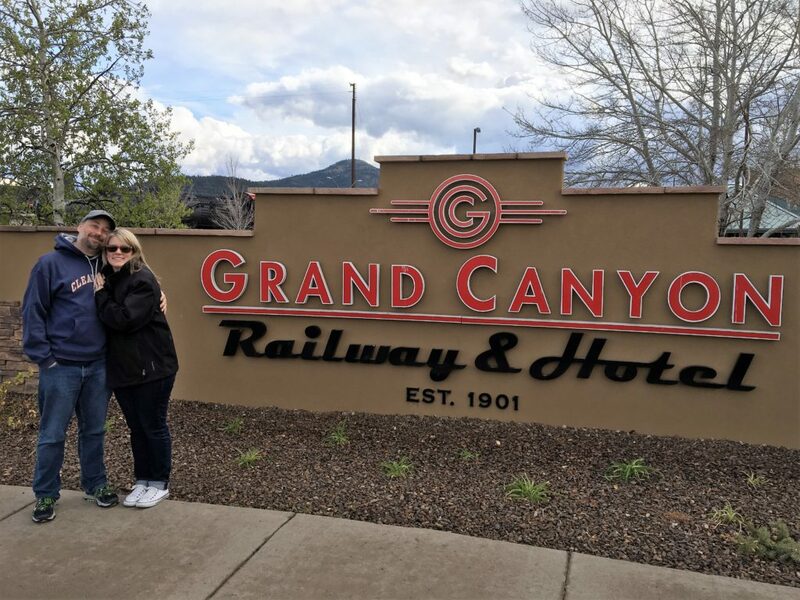 We took the Grand Canyon railway to the Grand Canyon today. 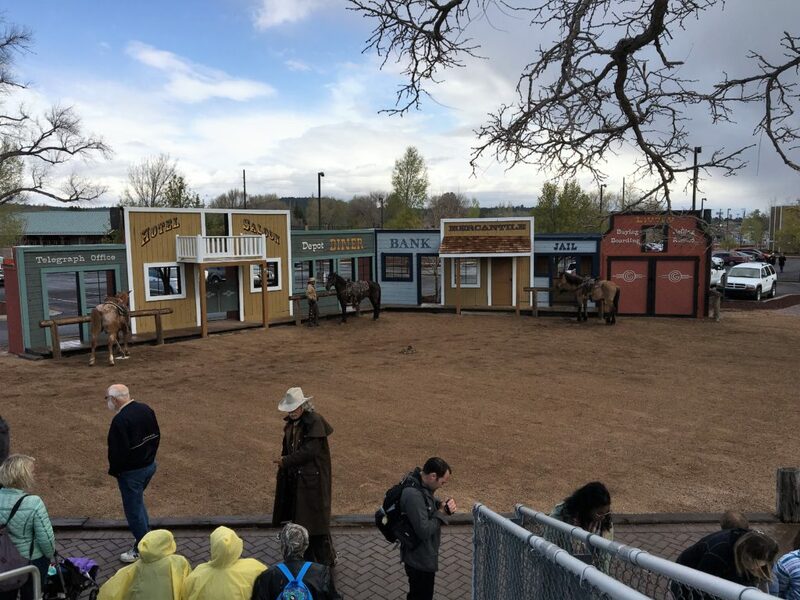 We started with the obligatory Wild West show and shootout that is setup right next to the train station. It was about what you’d expect but just a little better. 15 minutes long, but a nice fun diversion. And the characters make appearances later on the train. 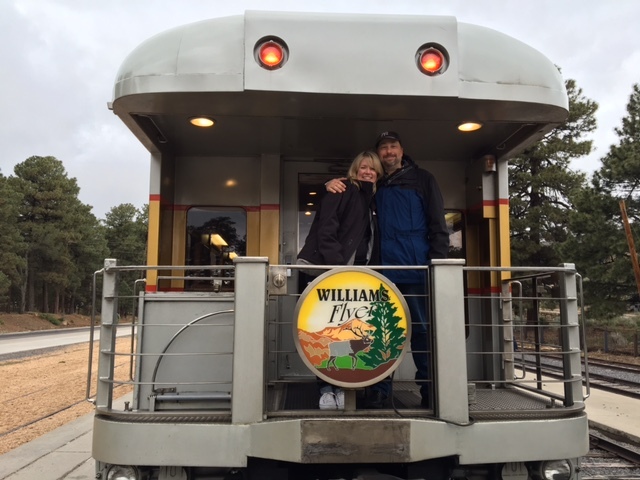 The car we booked was the observation car. Very cool! We sat on the second level of the car, which was all open glass. The car was a Pullman built in the 1950s and restored at a cost of over $1m. 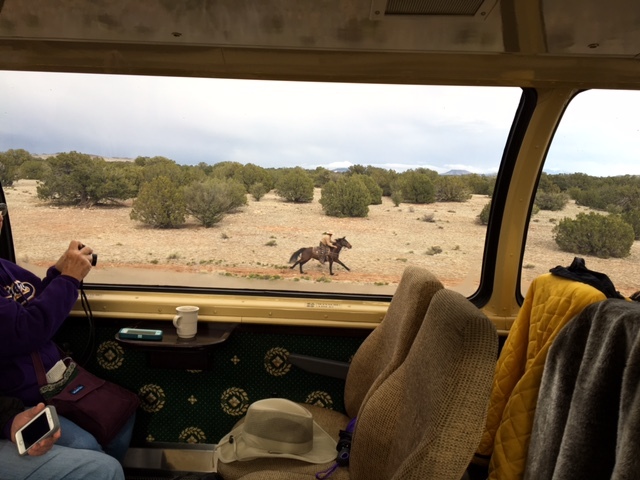 It was a very neat way to see the country between Williams and the Grand Canyon. 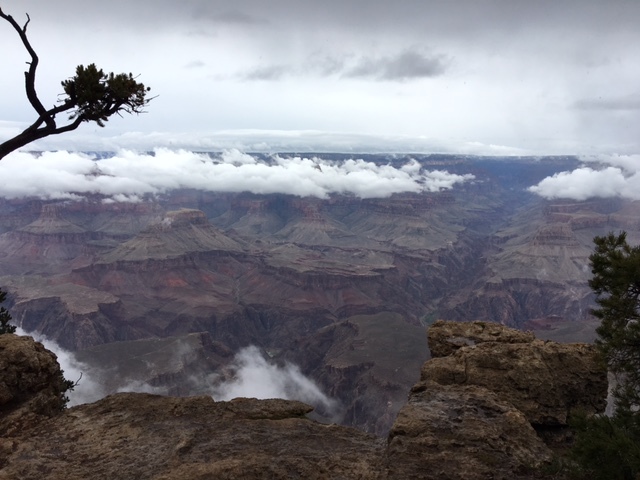 As we approached the Grand Canyon, the weather steadily deteriorated. It was drizzling when we left the train and boarded the bus for our tour. 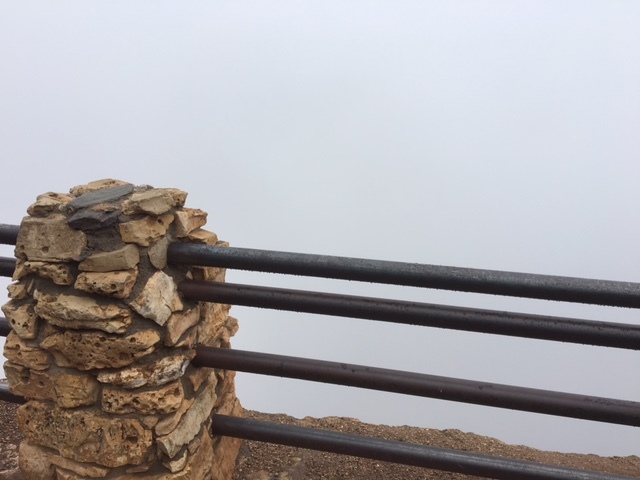 At the first stop – a scenic overlook, we walked up to the railing and saw…absolutely nothing. 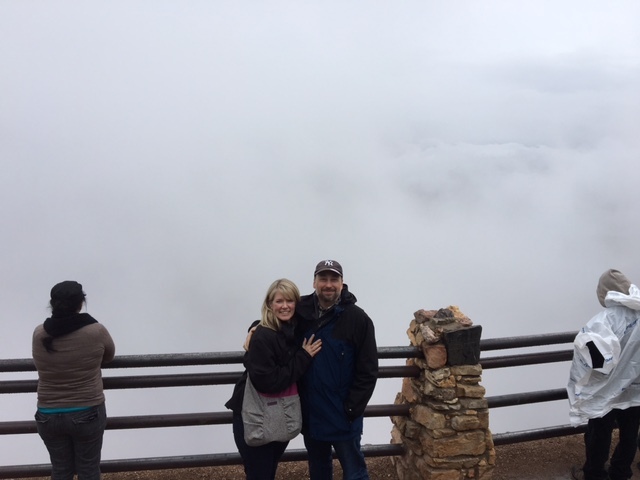 We couldn’t believe we had come all this way only to see nothing but fog! However, we were determined, even if that meant Photoshop’ing the canyon in later. So we took the obligatory picture and hoped for the best. About 10 minutes later, the clouds briefly cleared and we saw the most amazing spectacle! And no, that isn’t Photoshop! What an amazing sight! The clouds really added a neat contrast. Of course, they moved in shortly after we took this, and all was pure white again. The weather really turned nasty as we headed back for the train. Cold, rainy, and even more clouds. 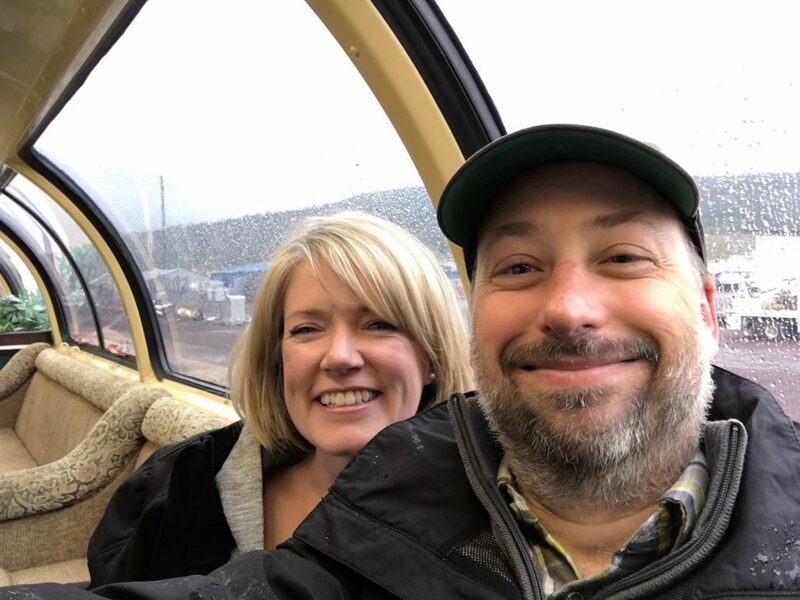 We were happy to get back on the train. On the way back, a gang of bandits took over the train and made their way through the cars. They really did put on a good show and made the 2 hour trip that much more fun. All in all, I was very glad to see the canyon, even if we only caught a few glimpses of it. Those glimpses were amazing!